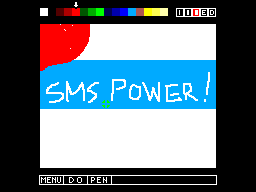 Sega Graphic Board - Games - SMS Power! 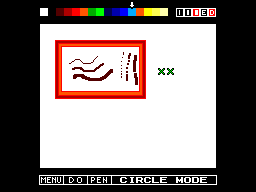 Unreleased prototype comprising of a graphic tablet and drawing software for the Master System. The hardware is a follow-up to the Terebi Oekaki released for the SG-1000 in Japan. The hardware prototype is dated May 12, 1987. The software is dated August 1987. The hardware+software was supposedly sent to Tonka in the US for evaluation between September and October 1987. 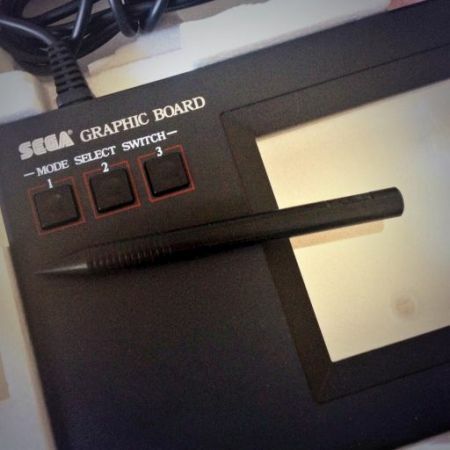 See forum topics: Release announcement, Sega Graphic Board v2.0 Reverse Engineering, US Master System tablet on eBay. 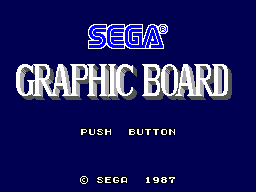 There is a development page for Sega Graphic Board. Visit it to see technical discussion of this game.